Let the countdown 'til Christmas continue with DAY 17! 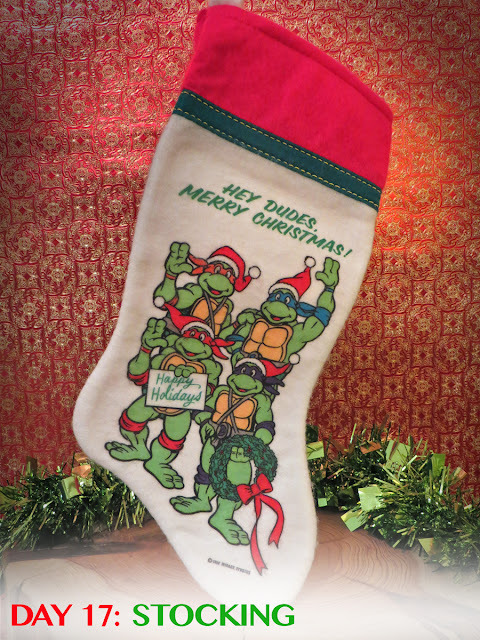 During Cowabunga Christmas, I've been pretty wordy about every TMNT holiday item I've covered. I'm enthusiastic about each entry when writing it. But then, I got to today - the stocking. I'm still excited, don't get me wrong. But, how in-depth can I really get about a stocking? Those are the selling points. I could use flashy buzz words, toss down promo lingo & really sell this thing. But I won't - because it's a stocking. From 1990, this is one vintage piece of fabric. The color has held up remarkably well after all these years. 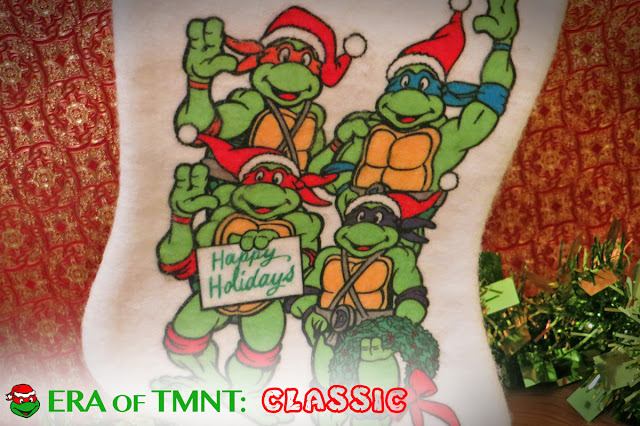 The Turtles are still vivid with color and ready for their festive duties. 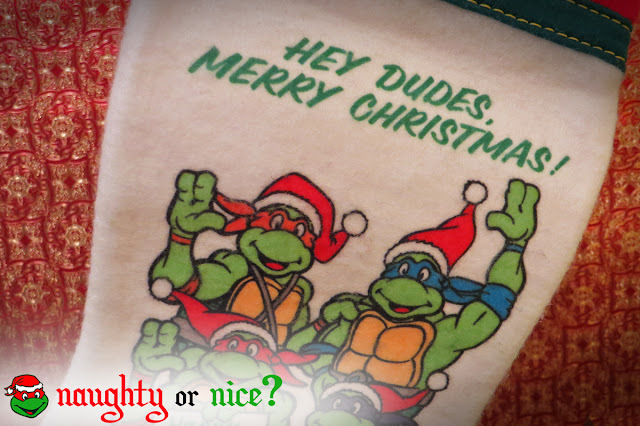 Does the stocking make a good gift? 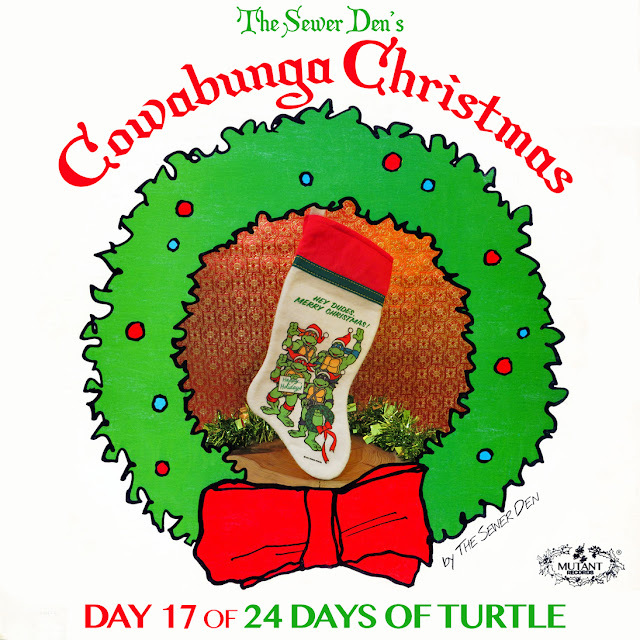 Check back tomorrow for DAY 18 of Cowabunga Christmas! Can't wait until then? Take a trip with the Ghost from Christmas Past to see what The Sewer Den put on display on December 16th in 2013 and 2014.